Here’s release note of version 3.3.1 including TV Friends iPhone version. Deleted birth date input from the Avatar Selection Screen. 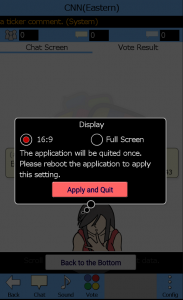 To apply the setting, please press “Apply and Quit” button, and then reboot TV Friends. From the next boot, the setting will be applied. 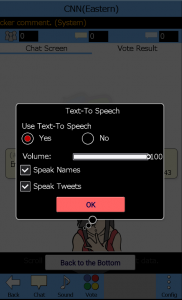 Added “Speak Names,” option to Text-To Speech dialog. You can set if you want the system to read user names when it speaks user comments.